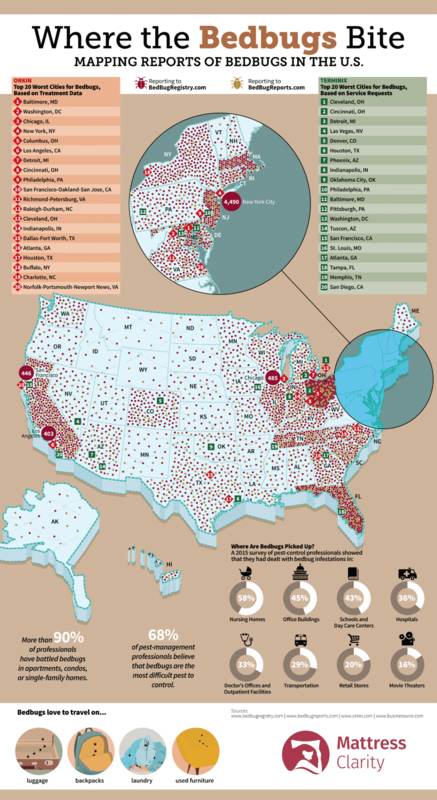 Where the Bed Bugs Bite #Infographic ~ Visualistan '+g+"
Good night, sleep tight, don’t let the bed bugs bite…especially if you live in one of the top worst cities in the United States for bed bugs! Bed bugs may look tiny and harmless, they’re anything but! They wreak havoc on not only your bedding, furniture and home; they can be emotionally devastating to those who contract them. Many families have had to throw away the entire contents of their home, including family heirlooms and items with sentimental value. The effects of bed bugs can be as devastating as a house fire. The number of reported bed bug cases in the U.S. has been on the rise, could our country as a large travel hub be the reason? Luggage and backpacks, as well as laundry and used furniture, are the items that bed bugs love to travel on. They can hitch a ride on your suitcase and end up across the country where they’ll continue their quest to ruin lives. But where in the U.S. are most of these bed bugs traveling to? 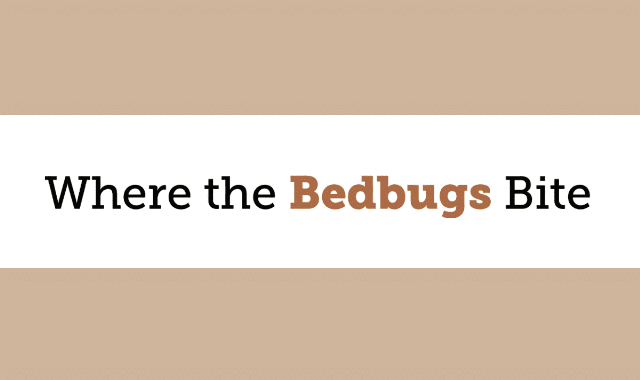 This infographic from Mattress Clarity (MattressClarity.com) takes a deeper look into Where the Bedbugs Bite.